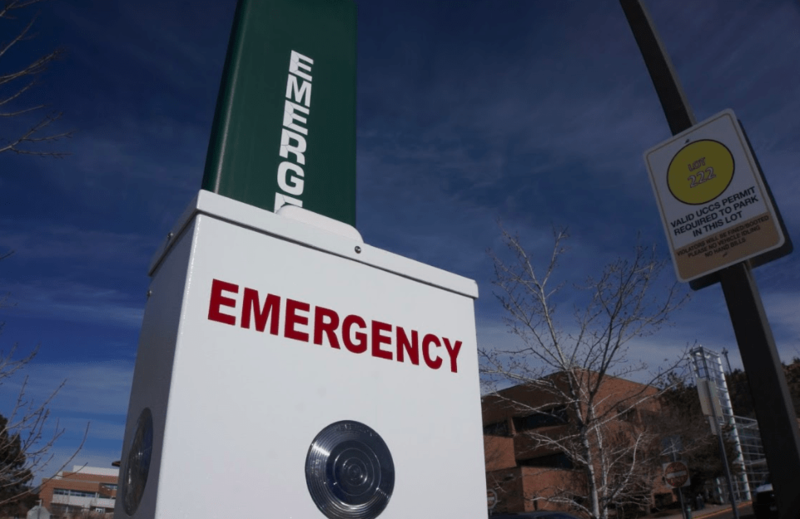 There were a series of lockdown drills conducted by UCCS and evaluated by campus police from Jan. 23 – 28 and on Feb. 8. According to UCCS Chief of Police Marc Pino, these drills arose from the recent installation of the door locks in all of the classrooms, which gives students the ability to lock down in the first place, making it necessary to train people on what to do and how to do it. The process of training students to respond appropriately to a lockdown situation included testing students’ responses to drills. Pino explained that for each lockdown, campus police would check rooms throughout the building on lockdown and check whether it was secure. “The participation was really surprising. I thought people would be more reticent to participate but everybody, including faculty, staff and students, was participating,” said Pino. He stated that students were, for the most part, aware of what to do when a lockdown occurred and that overall, the students did well in the drills. According to Pino, the awareness of how drills are conducted can be attributed to the current day and age that students live in. Most freshmen students were born after the mass shooting at Columbine High School in 1999, after which lockdown drills became more prevalent along with other safety measures. Pino said that the drills were mostly a success given that the text function appeared to work well for all parties involved, and the students and faculty appeared to possess adequate knowledge of what to do if the building is on lockdown. There were no serious concerns according to the processed survey data thus far, and Pino stated that if there had been a major problem with the drills, it would have been a significant voice among the survey results. To help improve future drills, Public Safety will need to address the limitations of voice messaging functions of phones on campus. “The message can be read over audio to phones on the campus and so that was a little more complicated than we thought it was going to be, but we learned a lot with that,” said Pino. A feature of the lockdown drills was a survey attached to the various texts and emails sent out stating that there was a lockdown drill in effect. According to Pino, this survey will be made public and will be published through social media and Public Safety’s website. 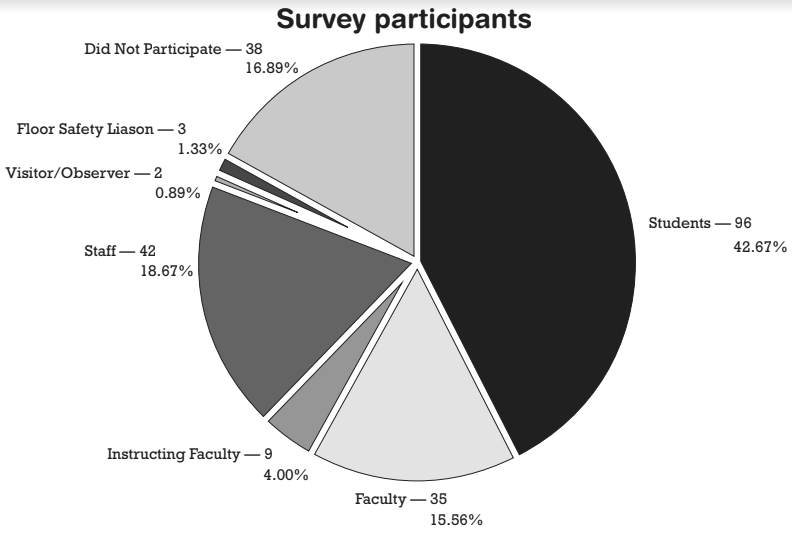 Survey results could also be sent out to student and faculty emails. The results will be published in the Annual Security Report as well, which is released every October. In the opinion of one student, the lockdown drills were effective. Hannah Maben, a senior studying chemistry, was part of the drill that occurred on Jan. 23 at Centennial Hall. Maben said that she received enough heads up about when the drill was going to happen, and that she felt prepared for the drill and knew what to do when the drill occurred. She also said that the room she was in was laid out to where it was easy for her and her classmates to stay out of sight of the windows and door. Maben received training from campus police while she worked in the Science Center. She attributed her knowledge of lockdown drills and potential active shooter situations to the extensive training she received there. For more resources about what to do in the event of a lockdown, students can visit the Public Safety website.